Tim Davis uses photography as a means of observing the world with both a celebratory and critical eye. 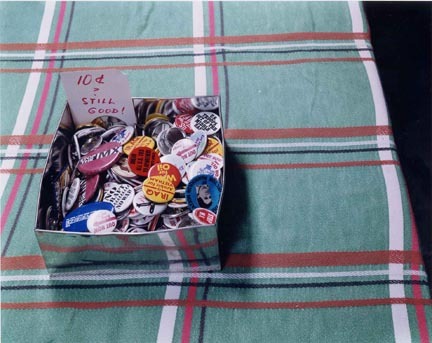 Inspired by the broad scope of Walker Evans’s Depression-era American Photographs, Davis’s series My Life in Politics explores the political milieu in America with lush color and cool objectivity, depicting the detritus of our civic involvement as pop culture. Buttons, bumper stickers, cardboard cutouts and handmade signs compete with myriad other trappings of capitalism; peeks into presidential libraries and state legislatures offer banal glimpses into affairs of state. In Davis’s words, “I approached the political world the way a landscape photographer might, searching the immediate environment for outstanding views and unusual outcroppings. I allowed myself to photograph only subjects I could come upon with no special access: going to protests, visiting government buildings, and above all driving through America in search of the ways politics erupts into our daily lives.” Davis offers little judgment and no partisanship, presenting the political landscape as divisive, muddled and unresolved. In the image 10 ¢, Still Good (2003) Davis quotes the political climate experienced by older generations, pointing to the enduring idealism of grassroots campaigning. 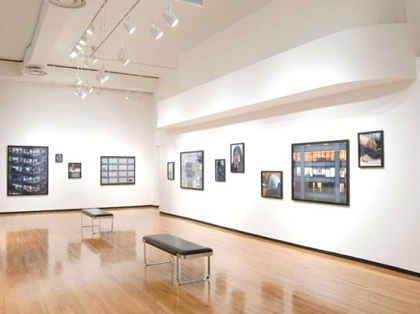 In 2011 Davis approached the political landscape from the side of those in power rather than their constituents or activists, creating an installation entitled The Desks of Power for the MoCP exhibition Public Works. 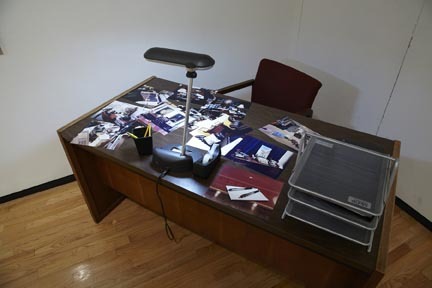 The installation is comprised of an office chair and desk, complete with lamp, sorter, pencil holder, and tape dispenser, covered with thirty-four inkjet prints from an assignment Davis had completed for TIME magazine, in which he photographed the desks of political insiders in Washington, DC. Sometimes Davis shows clues indicating to whom the desk or office belongs, including Representative Michelle Bachmann and Senator Harry Reid, but often these workspaces reveal little about the politicians or government workers. 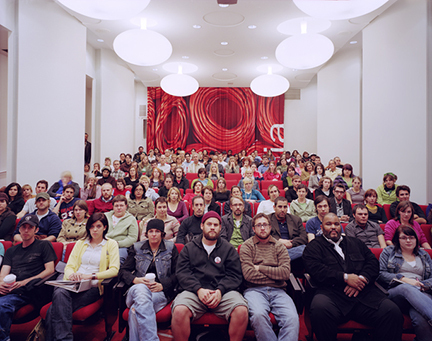 As Davis points out, “these photographs are more about how power conceals itself than how it shows itself.” With empty offices and desks piled high with paperwork, monogrammed stationary, government seals, and family photographs, viewers are left with the impression of a stage with props awaiting the action of the players. Tim Davis completed an MFA at Yale University, New Haven, CT (2001), and a BA at Bard College, Annandale-on-Hudson, NY (1991), where he studied photography with Stephen Shore. He pursued a career as a poet and editor in New York for several years before returning to photography. He has since exhibited internationally, including at the Samuel Dorsky Museum of Art at SUNY New Paltz, NY (solo, 2011); the Tate Modern, London, UK (2007); P.S.1, Queens, NY (2006); the Museum of Contemporary Photography, Chicago, IL (solo, 2006); the Whitney Museum of American Art, New York (2005); and the Museum of Modern Art, New York (2001). His work is held in many public collections, including the Walker Art Center, Minneapolis, MN; Milwaukee Museum of Art, WI; the Smithsonian Institution’s Hirshhorn Museum and Sculpture Garden, Washington, DC; the Metropolitan Museum of Art, NY; and the Guggenheim Museum, NY. Davis is the recipient of the Rome Prize fellowship in visual arts (2007-2008), during which he began working on his series The New Antiquity, published as a monograph by Damiani Editore in 2009. Other monographs include My Life in Politics (2006), Permanent Collection (2005), and Lots (2002). Davis previously taught at Yale University (2001-2004) and has been on faculty at Bard College since 2004. He is represented by the Greenberg Van Doren Gallery in New York.